With its neutral hues and enduring rectangular shapes, this tile coordinates effortlessly with a wide range of decors and design schemes. Interlocking 8mm Wall Tile features a gorgeous blend of rectangular porcelain and glass tiles in smoky grays, shimmering silvers, and deep charcoals. These tiles offer a reflective quality that draws the eye into the space, creating a sense of sophistication that sets your project apart from the rest. 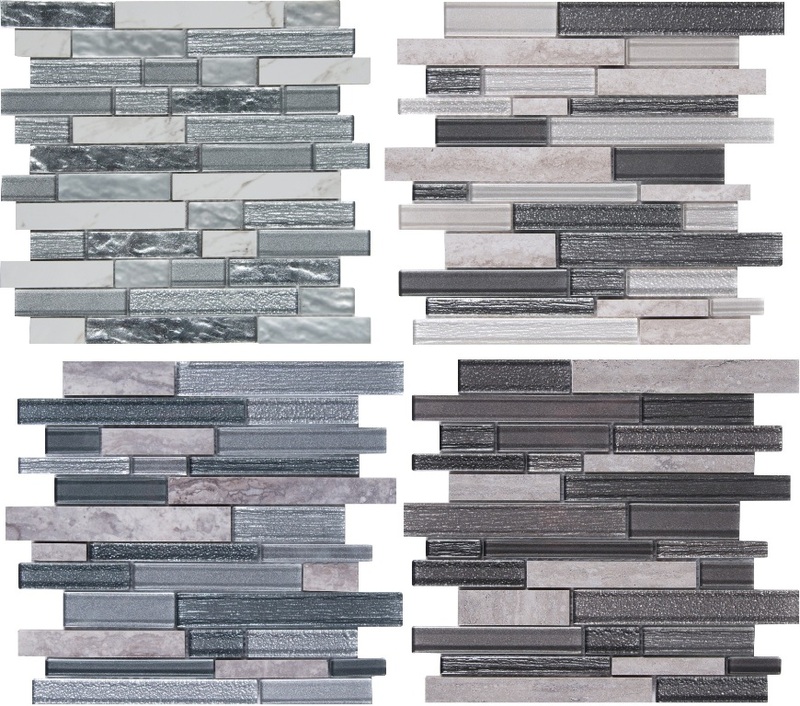 Residential to commercial, use Smoky Alps Interlocking as wall tile or backsplash tile in kitchens, baths, or almost any space you want a touch of unexpected chic. With its neutral hues and enduring rectangular shapes, this tile coordinates effortlessly with a wide range of decors and design schemes. These tiles are mounted on mesh-backed sheets for simplified installation and a professional finish.